Your Horse Deserves the Best in Horse Health Care Products. Ingredients: Water, Glycerin, Aloe Vera Gel, Zinc Acetate, Extracts of Marigold,Lavender, Chamomile, Hydrolyzed Wheat Protein, Panthenol, Allantoin, Ascorbic Acid, Methylparaben. Skin is made up of three layers, one of which includes a network of interlocking protein fibers and blood vessels. These fibers contain zinc and vitamin C, among other nutrients. The cells contained in these fibers constantly die and new cells replace them. These cells must receive the proper nourishment to replenish themselves. This is the life cycle of healthy skin. New & Improved Soothing Mist enhances this natural life cycle and helps relieve common skin problems. The foundation of this effective formula is aloe vera gel, zinc and vitamin C, ingredients that feed the cells contained in healthy skin. It also contains special skin soothing and enhancing herbs. Dogs and Cats Can Benefit Too With Special Health Products Just for Them! HealthyPetNet has a tremendous supply of great health food and supplements to help your cats and dogs maintain peak health! Keeping your pet's body in Optimum health is the best way to help prevent problems in the future. 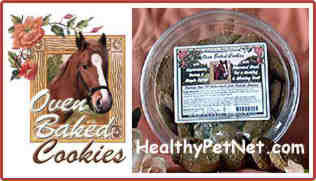 Visit the WEBSITE view all the great products to help your dogs and cats.